A recent Ontario Court of Appeal (OCA) ruling that allows a second wife and child to claim support from a deceased common-law husband’s life insurance policy raises some important questions and issues. The ruling overturned a Divisional Court decision that found the second wife was not a “creditor” and therefore had no security interest in the policy. Now, the first wife and children, who were irrevocable beneficiaries, are still entitled to receive support from the $1-million policy, with the second wife receiving the remaining proceeds. 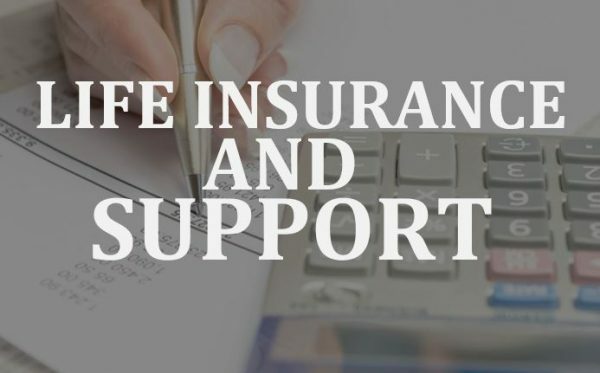 The issue has been in the spotlight because if a payor with a life insurance policy dies intestate, or revokes the beneficiary, the support recipients are out of luck since the insurance company isn’t a party to the separation agreement. How can individuals protect themselves? Family lawyers can help by adding requirements in the separation, divorce or custody agreements requiring the the payor to prove that the support recipient is a designated beneficiary. If there is a lapse in premiums, the recipient can be notified so they can pay the premiums themselves and be reimbursed as appropriate. Unfortunately, the OCA case didn’t make it clear whether the parties were common-law spouses under Ontario Law. It was a short-term relationship, and in similar cases – in which a couple had a child together but didn’t ever live together – there was no spousal support applicable. In effect, in this case, the OCA found a subsequent dependent spouse or children could claw back any excess over what is owed to the first family. “By “clawing back’ into the deceased’s net estate only that portion of the proceeds of a life insurance policy in excess of the amount required to satisfy the deceased’s family law support obligations, funds may be made available to support his other dependents, while, at the same time, discharging his existing family law obligations,” the decision says. The decision means the ex-wife should have been characterized as a “creditor” of her former husband, and any remaining proceeds of the insurance policy to flow into the estate after the deceased’s support obligations have been met. Although the parties agreed to a settlement prior to the release of the OCA decision, the court agreed to hear arguments because of the broad implications in family and estates law. Family lawyers looking to use insurance policies as security for child and spousal support in separation agreements should review this case carefully. When drafting these support security provisions, they should perhaps be called ‘a pool of money’ rather than ‘security’ for which arrears and ongoing obligations are to be paid in the event of the death of the payor. Lawyers may also consider in drafting agreements is making the recipient of support the owner of the policy. In that situation, they would be responsible for payments, and premiums are payable in the form of support. Further issues could arise, however, if the payor does not qualify for life insurance because of health issues. People shouldn’t be discouraged from getting into new relationships or taking on new responsibilities – but in the case of a ‘first family’, obligations of support need to be addressed first. Excitingly, November is Make-a-Will Month. It’s great that you made a Will. Does anyone know where it is?